Giving Tuesday, a global day of giving celebrated on the Tuesday following Thanksgiving, is one of the largest fundraising opportunities for colleges and universities. 2017’s Giving Tuesday raised $274 million for a broad range of causes, with education ranking as the third most-discussed topic. As the competition for donations increases as more institutions participate, it is important to ensure that your campaign stands out and runs smoothly. 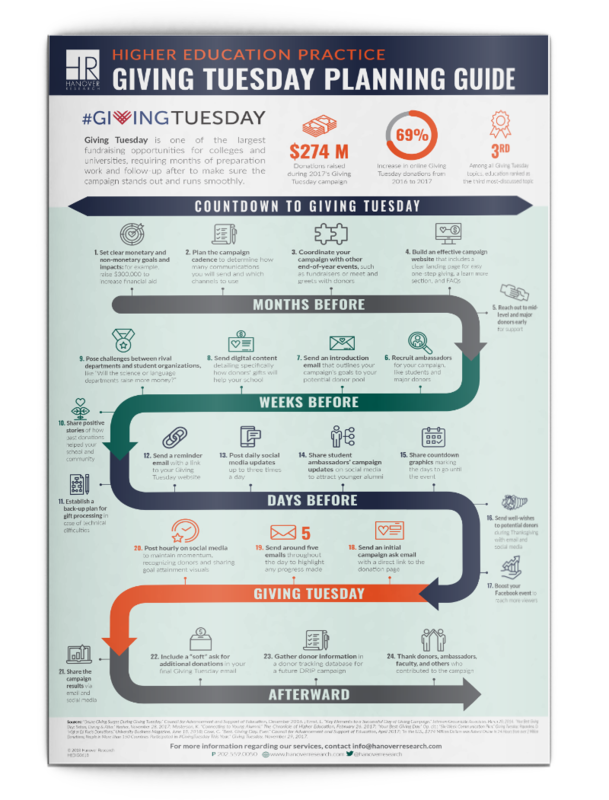 This infographic offers strategies and best practices on how to make the most of your Giving Tuesday.